The Alpinestars Vika Jacket and Pants are part of the City Collection; defined by their blend of fashion and protection. The 1MM full-grain leather is buttery to the touch and is specifically selected and treated for the ultimate in softness and comfort. Ergonomic aramid stretch inserts give the Vika a body-hugging fit and improved flexibility. For its armor, the Vika sports high impact performance CE-certified PU elbow, shoulder and knee protectors. The jacket has seamless neck and wrist construction for form-fitting comfort. The Alpinestars Vika pants have extended aramid stretch inserts to improve fit, comfort and flexibility. 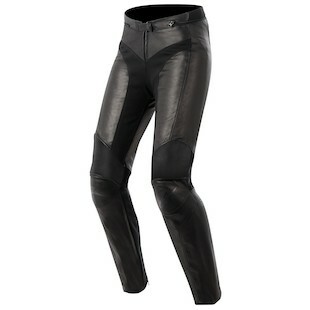 As with the jacket, the pants are specifically designed to offer a feminine profile. This is very hot Leather jacket.It’s very high quality Jacket.It’s colored is very attractive.This latest trend Jacket is very affectionate.Every one desired to get this Leather Jackets in very cheap rates. I have bought this Jacket before 2 month.It is very cool and give me very fabulous personality and make me comfortable. Don’t worry I’ll tell you guyes that from where I got this Leather Jacket at very cheap and affordable price. 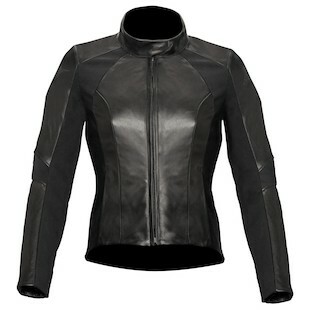 I bought this Alpine Leather Jacket from Leathergap at very affordable and reasonable price..